Nucleo® Tartavena, the new interpretation of a timeless classic: turtle bread. 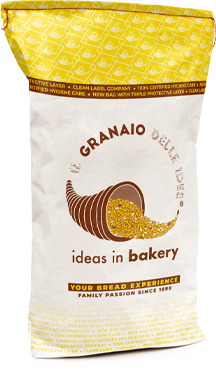 This mixture, enriched with corn and oat flakes, gives the bread a pleasant and warm color. The bread produced with Tartavena is characterized by an irresistible touch of originality. Light and crumbly, it stands out for its delicate taste, making it perfect for any occasion. On request, it is available with its professional mould.